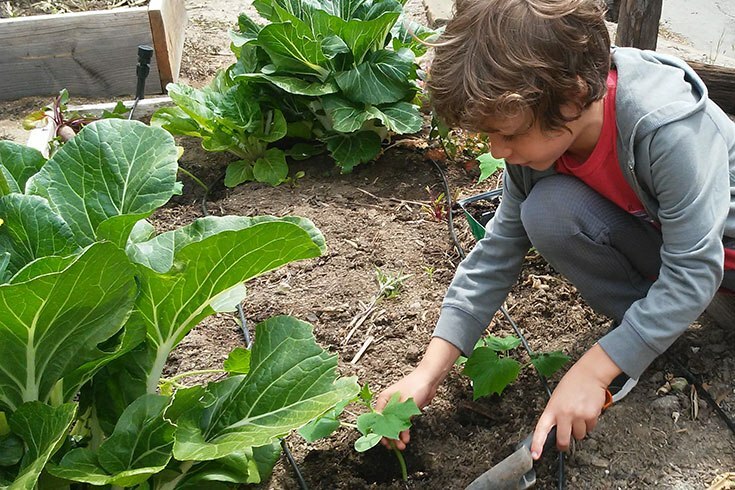 The Seed-to-Table Program at MUSE is a hands-on way for students to learn about the connection between their everyday food choices, their health, and the health of our environment. 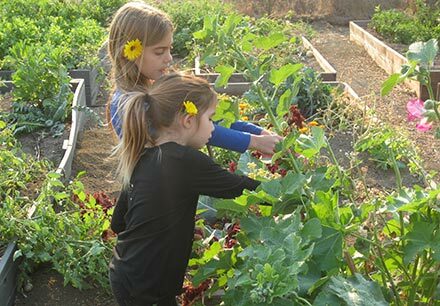 At our Calabasas Campuses, MUSE has over 100 raised garden beds constructed with reclaimed materials. Students choose the plant varieties they want to grow, then sow, tend, and harvest produce for the MUSE Kitchen and MUSE’s community restaurant partners. Gardening opportunities range from one-on-one projects with the Seed-to-Table Director and the Garden Educator to group projects involving several students and members of the community. Outdoor education is ever-present at MUSE School. Our campuses are designed encourage outdoor exploration and discovery daily. Teachers use our “outdoor classroom” as an environmental preference for study, as well as inspirational motivation for students. MUSE Arts curriculum includes exercises that develop skills such as artistic perception, creative expression, and aesthetic value. As skills improve, art classes incorporate different techniques and mediums. Students engage in reflection and observation of how and why art is created in different cultures. The MUSE Maker Space is a setting where students make their ideas come to life with recycled and natural materials and tools. Using science, mathematics, art, engineering, and their imaginations, students build projects. Students are challenged to solve real-world problems and learn – as entrepreneurs do – through trial and error. Music is the soundtrack of our lives! Students at MUSE will learn various concepts of music theory, and performance. Each child will be given the opportunity to express their musical creativity in various ways such as singing, songwriting, production, and learning various instruments. Bonjour! Hola! MUSE offers French and Spanish to all students. World Language teachers focus on pronunciation, vocabulary, applications, and reading and writing. In addition to the language, teachers expose students to the culture of the countries that speak the language.